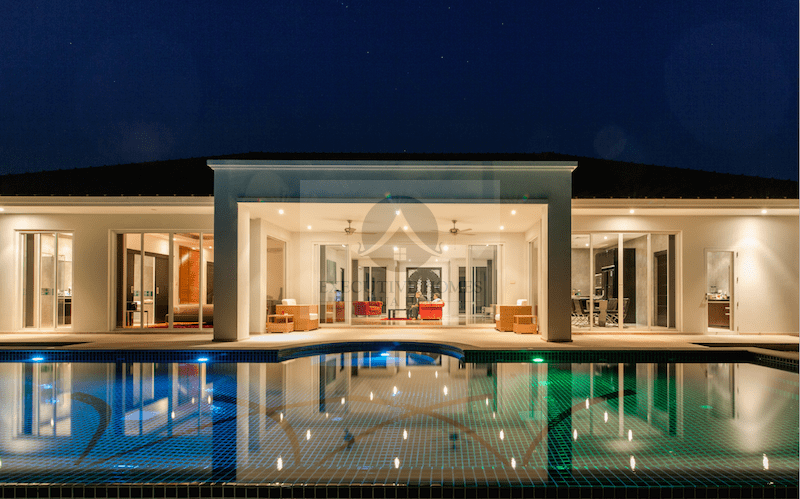 This is a Baan Ing Phu Villa For Sale with views overlooking the famous Black Mountain golf course, as well as vies of the surrounding natural granite stone mountains. 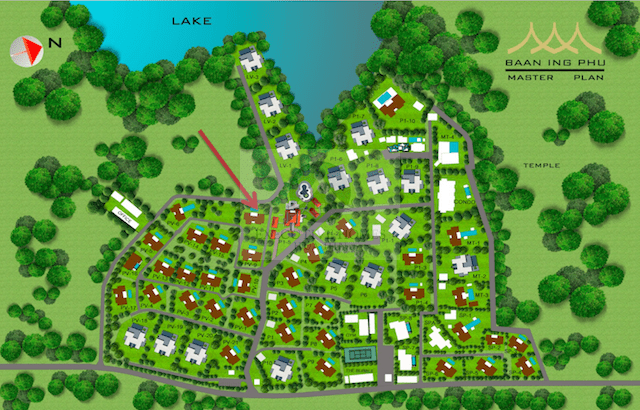 There is only one free plot left in Baan Ing Phu and only three re-sale homes at this time. 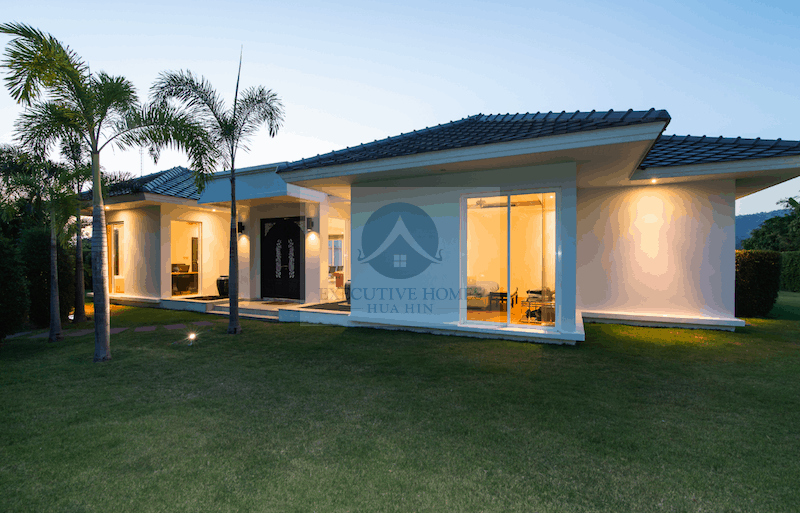 Baan Ing Phu is the most popular and sought after development within Hua Hin. 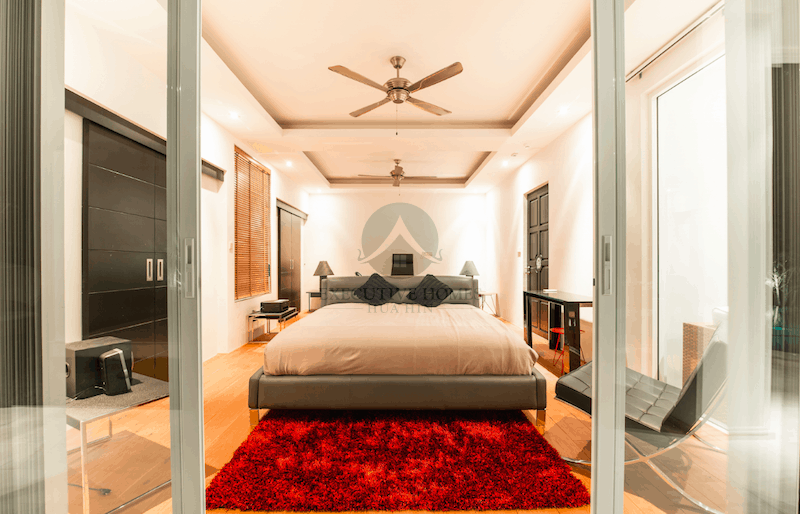 Baan Ing Phu is famous for it’s high-end construction and custom designed homes. This development offers a full resort-style lifestyle, which includes (but not limited to), full fitness center with certified physical trainers, Muay Thai kickboxing, Yoga, tennis, a health & wellness spa, & on-site organic restaurant and bar. 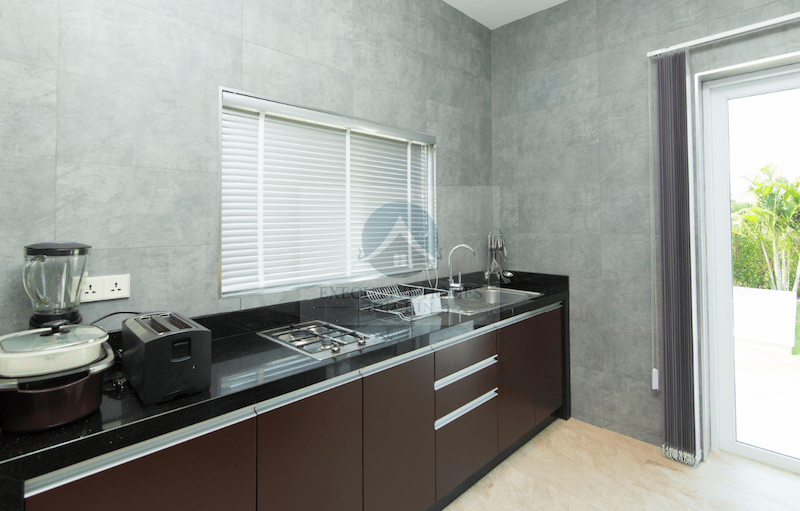 Each of the chefs will cater to your dietary needs and you can even have every single meal of the day delivered directly to your private home. 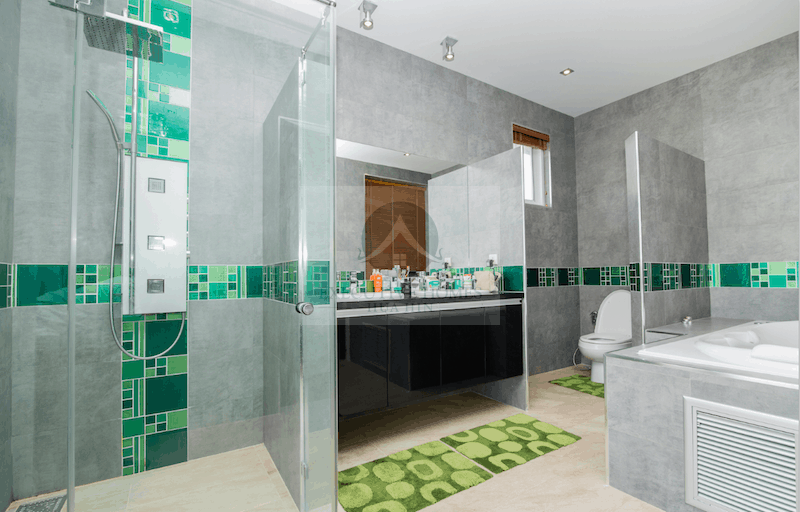 This 3 bedroom, 3 ensuite bathroom, private pool villa is for sale at a great price. 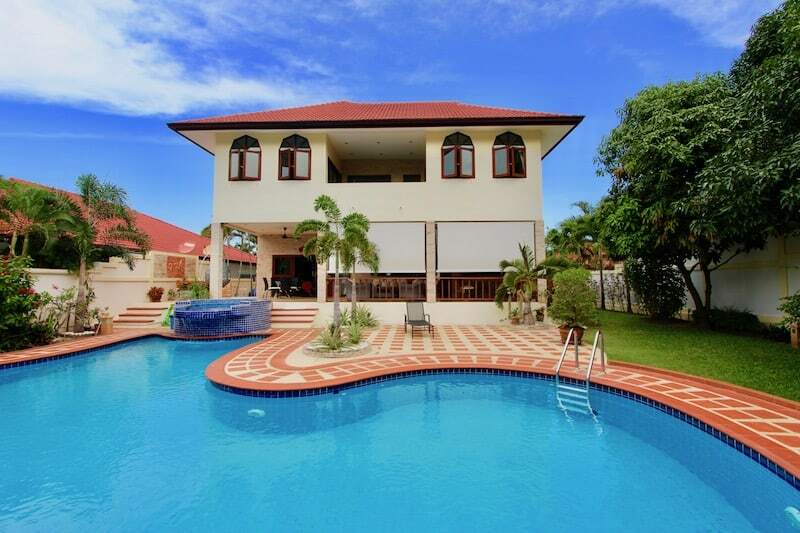 This is a must see villa and won’t last long on the local real estate market! 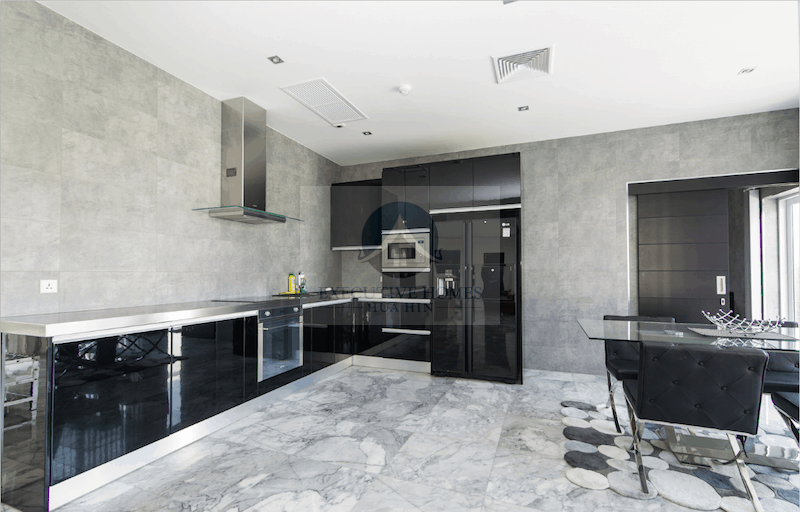 The house comes complete with white marble floors, a modern western-style kitchen with high-gloss cabinetry, and a second additional Thai-style kitchen. The house is wired throughout with smart lighting and touch sensitive light switches, high-speed internet, and cable TV. 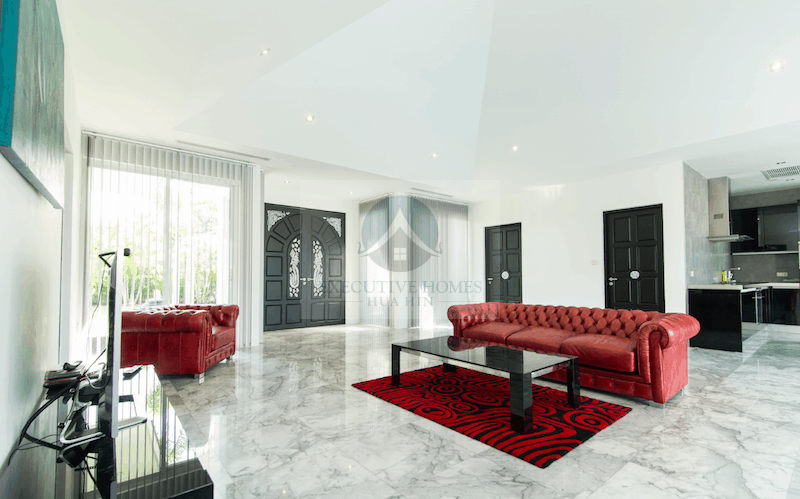 The villa is designed for open-plan living with a large covered terraced overlooking the Black Mountain golf course, a large fresh water lake, and the nearby black granite mountains. The views must be seen in person to experience their full grandeur. The 12 meter x 4 meter salt-water swimming pool is designed with a large central jacuzzi and a large, modern covered sala for sun bathing.